Where the Genres Collide was nominated by Lisarey1990 of Culture Vulture Express blog for the Sunshine Blogger Award! I’m honored! Check out Lisa’s blog and enjoy! -Thank the blogger that nominated you! Thank you, Lisa! -Answer the 11 questions asked. -Nominate 11 other bloggers and ask them 11 new questions. 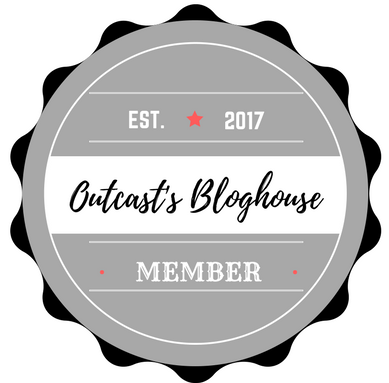 -List the rules and include the Sunshine Blogger Award in your post. What is your blog about? My blog is meant to show my journey as a writer but while I’m at it, I hope to help other writers as well as readers looking for good books to read. I share my journey on Sundays as Writerly Things. On Mondays and Tuesdays, I put Writing and Reading Links up for everyone to find new blogs to help them and as I mentioned books to enjoy. On Fridays, I do Book Talk where I talk about the latest books I’ve read. Who would you like to play you in a film of your life? Hm. Not sure. What is the thing you are most passionate about? I’m going to cheat here. There are three things. My faith, first. Second, my family. I want the best for them. They’ve had to settle for less. I’m hoping we’ve taken steps with college to have a better future. Third, my writing. I want to share my characters and their worlds with others. Something I’m working on at the moment. Ah, betas. What is your favourite TV show? In the past, Buffy the Vampire Slayer. It got me through my marriage, divorce, and life after. Right now, though, it’s a tie between Once Upon a Time and Supernatural, two shows that inspire me. I love the fairytales of OUAT and the danger and close-knit “family” on Supernatural. Who do you admire most and why? My mom. She raised her family the best she could. I’m sure there’s things she wished she could’ve done different but we all turned out pretty well. If you could take three things to a desert island, what would you take? If I could cheat here and condense as many books as I wanted into the first. Secondly, my family and pets, and thirdly, my computer and endless storage on it for as many stories as I could write. Which character in a book, TV show, film, play, etc … do you relate to most? This goes back to Buffy. I shared her pain when she lost Angel to Angelus because that’s when I realized what I’d married and then starting over again trying to find myself in a new world. What is the first thing on your bucket list? To be a successful author. If you could change one thing about yourself, what would it be? My bipolar. It makes life difficult, but I’ve come to terms with it. Still, if it could be taken off my plate, that would be wonderful. Love or money? Love because with it, all other things can be accomplished. Without out, the world is less. What is your hopes for the future? To weather the storms of life. What do you hope readers find on your blog? Where do you live? Doesn’t have to be specific. Just general area would do. A bit about. What do you write? Fiction, non-fiction? What are your plans for the coming season? What have you read recently you can recommend? What other forms of art do you pursue? Do you have a project coming out you want to discuss? Posted in blogs, Family life, humor & fun, Writing and Poetry. Thank you for the nomination, Traci and congrats on yours! Congratulations, Traci. I enjoyed learning more about you. Thank you, Robbie. I worried I didn’t do enough. I was a bit tired when I wrote the post up. So lovely to see you take the sunshine blogger award Traci! !